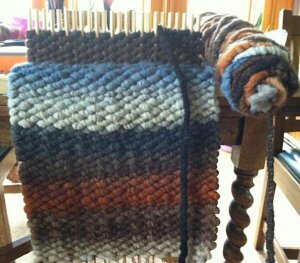 Have fun learning how to weave on a Peg Loom and make your own small rug/tapestry to take home -Materials and use of peg loom included! Very simple to use, even the most inexperienced user can create attractive, useful and decorative items with the Peg Loom. You can weave bags, scarves, rugs, make patched blankets and so many other useful products with the Peg Loom. No experience necessary. All ages welcomed and classes are available on a first come first served as class size is very limited. $100 per person. (Note: Program offers use of looms that may be available for purchase). Materials can be purchased for $95. Minimum class size: 4 persons.